I love this layering!!! That top is adorable! Your hair looks so amazing! And this outfit is so cute! I'm always looking for ways to turn dresses into skirts too! 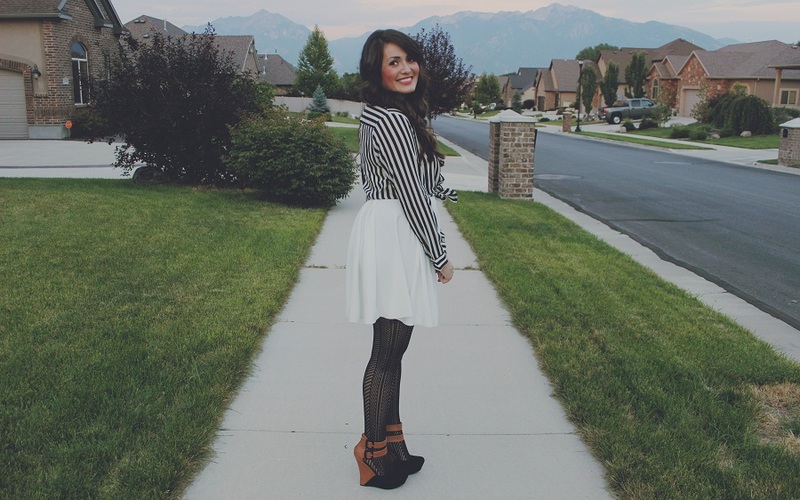 This is one of my favorite outfits of yours, I really need to get my hands on a vertical striped blouse like this. Your shoes are also amazing! Hope you're having a great day! Simply stunning. This is my favourite so far!! :) And you are gorgeous, as always. Love the styling. Very chic. Love this idea. So smart and cute. Your hair always looks perfect. How do you do it!? 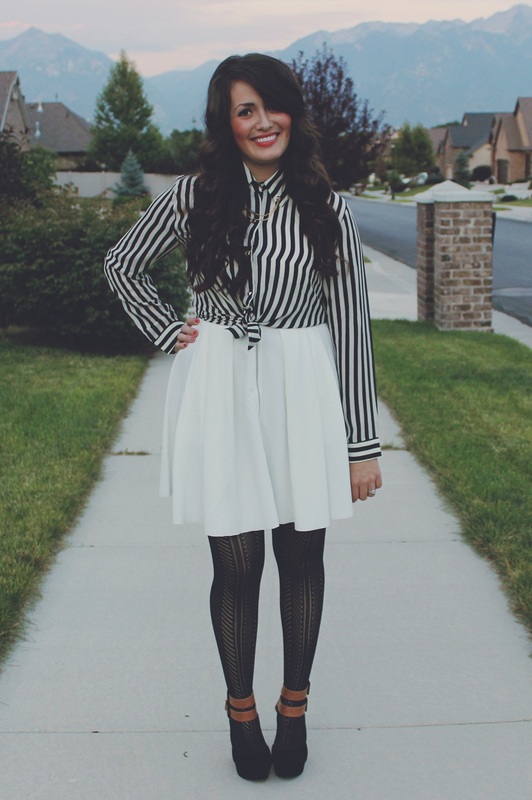 This outfit is seriously perfect! I love the entire way you put it together. very classy. 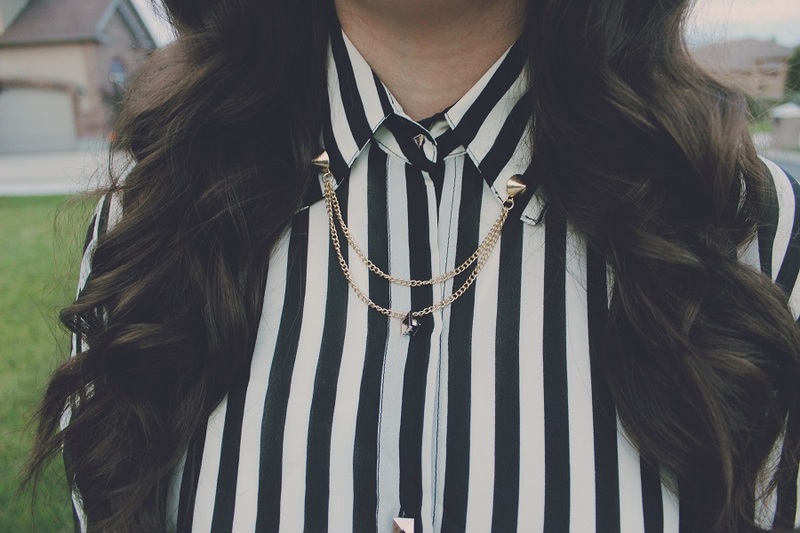 I LOVE this outfit - that shirt is absolutely perfect! And those shoes are killer! Oh, I love! Neeeed those shoes!